A retailer seems to have leaked information about the next Destiny title, which doesn’t exactly come as a surprise. Offering the first look at Destiny 2, you can see the poster for the game, which puts a September release date for the title. 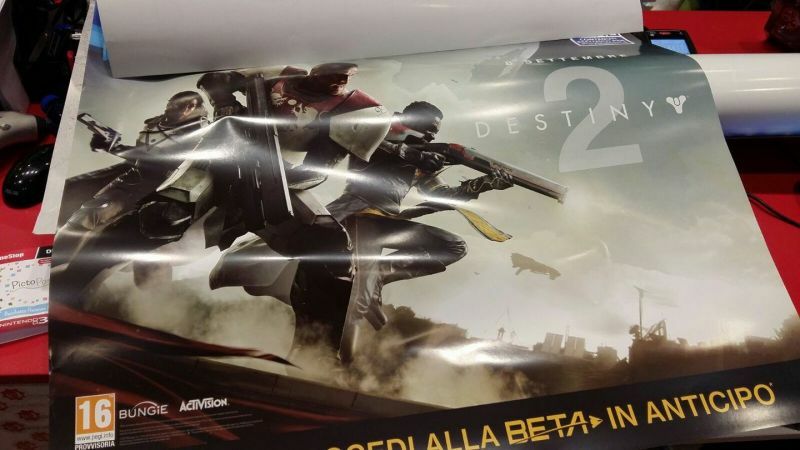 The poster has been leaked by an Italian retailer, and hints at an upcoming beta. Apparently, another poster has been leaked, which states the release date as 8th September, though it’s possible that this may be the European release date. Both posters are similar, with three humans, with what seems to be a Suros-branded shotgun in one’s hand. Rumor has it that Destiny 2 is coming to PC as well, and will try to be quite different than its predecessor.